Mary C Kubek, age 93, passed away peacefully surrounded by family, Tuesday, May 23, 2017. 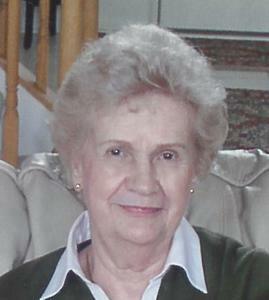 She is preceded in death by her loving husband Edward Kubek and son in law Gene Kaminski. Loving mother of Jerrie Maciarz (Ed), Diane Kaminski, and Ken Kubek (Susan). Proud grandmother of seven and great grandmother of fourteen. Family will receive friends Friday from 3-9pm at Neely-Turowski Funeral Home, 45100 Warren Rd, Canton (Btwn Sheldon & Canton Ctr Rds), with a rosary at 7 PM. A Funeral Mass will be held Saturday, 10 AM at St John Neumann Church, 44800 Warren Rd, Canton. In State 9:30AM until mass begins. Interment St Hedwig Cemetery.